In yet another addition to the growing family of Asha devices, Nokia has introduced the new Asha 310 earlier this week. With a physical design that might pretty similar to the previously released Nokia Asha 309 and 308, the Nokia Asha 310 offers both Dual-SIM and Wi-Fi connectivity – the first such device in Nokia Asha’s family to offer both features in a single device. With the support for EDGE connectivity, the Nokia Asha 310 is also equipped with a 3-inch capacitive touch display and 2-megapixels rear camera. It also comes together with a selection of pre-installed apps that are clearly chosen to be used together with the device’s data capability such as email, Nokia Xpress Browser, Facebook, Twitter, eBuddy and Nokia Maps (which also works offline). 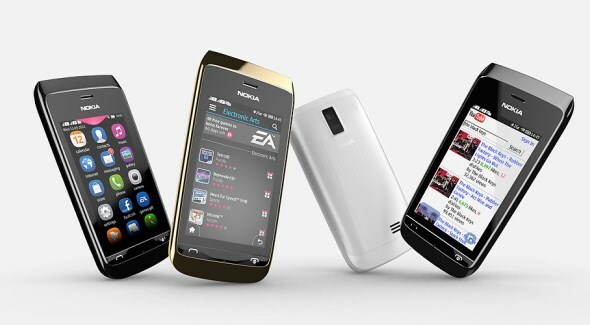 Not to forget, owners of Asha 310 are also eligible for the free 40 mobile games offer from EA. Last but not least, the Nokia Asha 310 is powered by a 1110mAh battery which gives it up to 17 hours of talk time and 600 hours of standby time. The device is expected to be available in Asia, India, the Middle East, Africa and Brazil sometime this quarter with a price tag of RM 316 (USD 102) although its actual availability in Malaysia is not yet known for the time being.